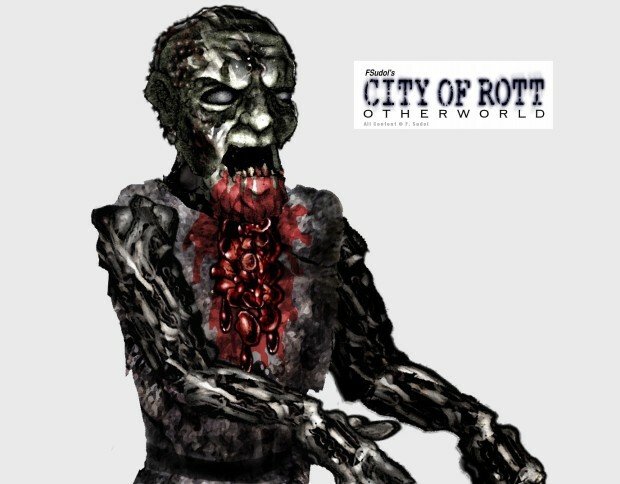 City of Rott: Streets of Rott (working title) the new Video Game has gained some major progress in development since last time. Some difficulties I surpassed included the character facing the wrong way, collision detection not working properly, how to include a weapon, how to include special moves, and many other features that take a lot of manual scripting in Game-Editor. Writing scripts in the language C is a major challenge, but when you overcome that challenge, it’s very satisfying to see your efforts and heavy thinking have resulted in something you wanted to see in the game. With Game-Editor, still learning to program City of Rott the game to do what I want it to, which is very tough since knowledge of C Language is required. A freedom brawler is a lot more complicated than it first seems. Much more to do before level 1 can be made. Here you can see improvements in animation compared to the first version, though with my screen capture recorder, it misses a lot of frames, so the actual game is a lot smoother looking. Sound is captured live too instead of interior sourced. Estimated release date, possibly mid 2016, late 2016. Not sure yet depending on my free time. Planned for PC, Mac, Linux. 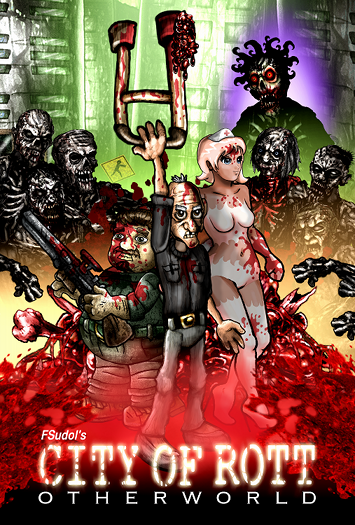 To create a fun & original, Animated Feature Length Zombie Movie starring an old man and his walker, set in another Realm with plenty of Action, Horror and some Humor, telling the story of the old man’s quest for enlightenment and freedom as he battles the Zombie Hordes. To be intended for older audiences due to cartoon violence, blood and gore and some language. Runtime estimate may be about 70 to 80 minutes total. The preview Trailer shown is only a hint of what is to be created, and it gives a strong idea of what to expect with the style of animation, detail of the illustrations, music and sound effects in the film to be made. 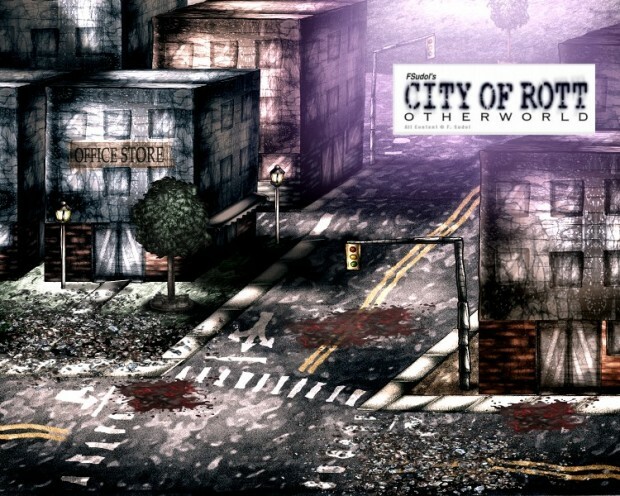 Picture: One of many Backgrounds to be used in this Animated Zombie Horror. Picture: Fred, an old man and his trusty walker. Watch out Zombies. An old man named Fred, recovering from the loss of his mind and his former life, along with his talking Walker, reluctantly enter the Otherworld’s City of Rott, a mirror realm filled with infectious Living Dead among an even more sinister evil, the Stalker. At all costs, Fred must avoid this powerful entity that infects the Otherworld, turning its victims into mindless Zombies. 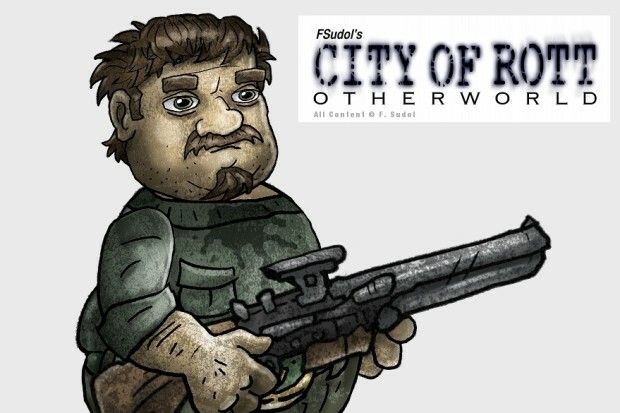 With the guidance of Renzer, a mysterious inhabitant with amazing power, and the goal to save the life of a beautiful Nurse infected by the Rott plague, Fred desperately seeks to unravel the mysteries of the Otherworld, on his epic journey to escape the bone chilling City of Rott. 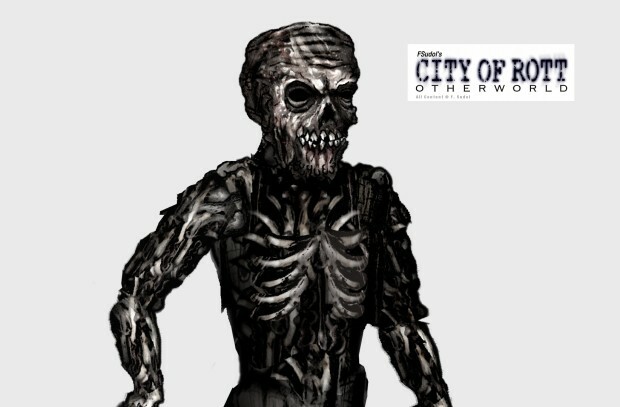 Picture: The main Villain named the Stalker. Get caught and you become a Zombie. Having earned professional experience working on the SOUTH PARK Movie: Bigger, Longer and Uncut in 1998 through 1999 and credited as an Assistant Technical Director and Additional Animator, as well as other productions that include the completion of feature length movies such as City of Rott (originally featured on Netflix, Blockbuster Video, Movie Gallery and Hollywood Video), City of Rott 2, Dead Fury, Shock Invasion, Gnome in the Haunted Castle and more, F. Sudol is ready to tackle the challenge of creating a new, feature length animated zombie movie. 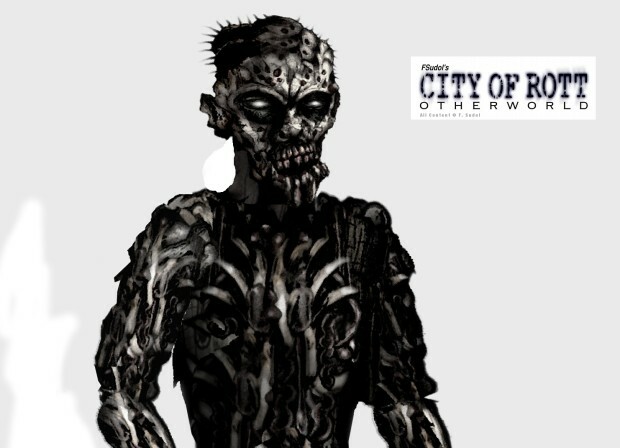 Picture: Renzer, an inhabitant of the Otherworld, has unique powers and knowledge. 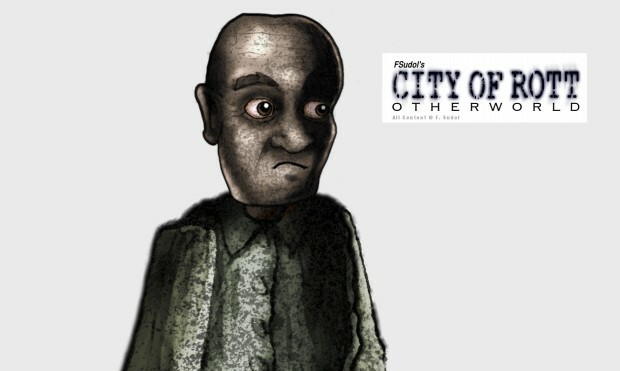 Written and to be directed by Frank J. Sudol (of BlackArro Productions Animation Studio), City of Rott: Otherworld is a one man production from start to finish, from script to final presentation including all animation, voice acting, musical score, lip synching, character design and illustrations, technical directing, sound effects, editing, special effects and more. Picture: Sarah the Nurse is a fighter, until she becomes infected. Time is short. Picture: A survivor in the Otherworld, cautiously trying to avoid the Stalker. Finding more time is a challenge due to the cost of daily living. One Man Production? It’s a huge challenge, but one that can be accomplished with enough time, resources and health, guaranteed. Finding a larger Fan Base. 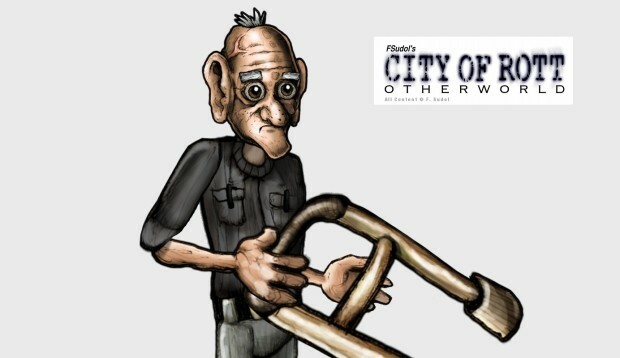 Do horror and animation fans want an animated zombie movie in this style, starring an old man against a city of zombies? Your support matters! If you know zombie fans and animation fans that might be interested, let them know if you can. Thanks! It will help ensure future movies are created. 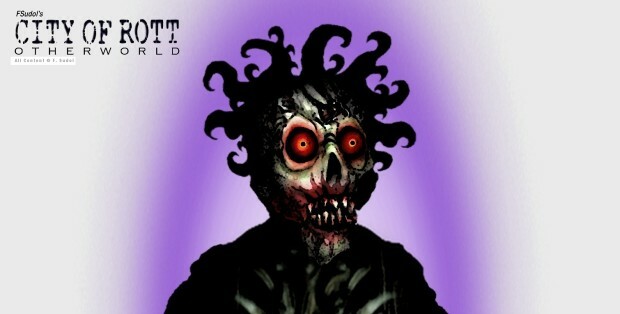 Picture: Skull Faced Zombie. One of many that infest the City of Rott. Picture: This Moss Face Zombie is slobbering his meal and could use a bib.